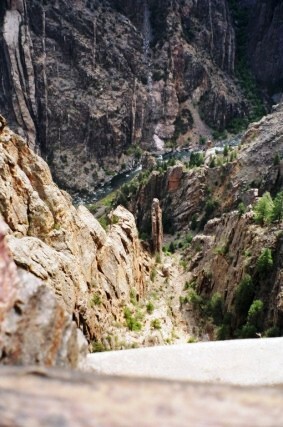 Highway US50 takes you along classic D&RGW country. 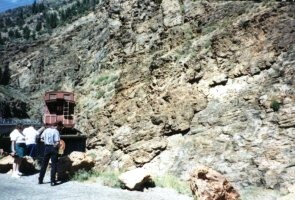 The first stop east bound after Montrose is the Cimarron Canyon sheep loading exhibit maintained by the US National Forest Service. 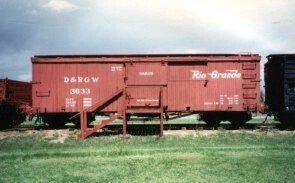 A static display of sheep loading facilities, two double deck sheep cars and a MOW camp car are easily accessible. 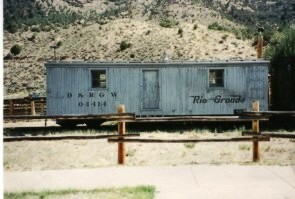 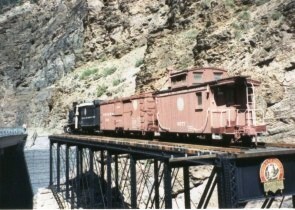 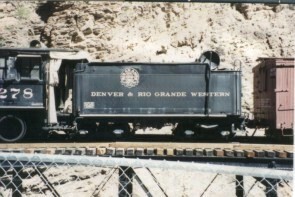 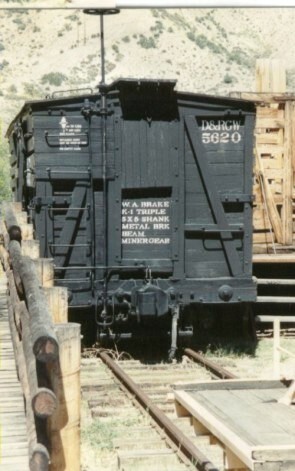 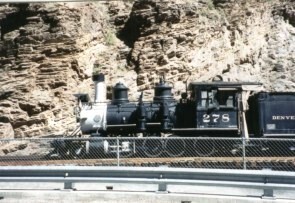 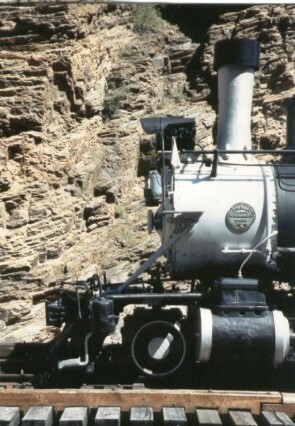 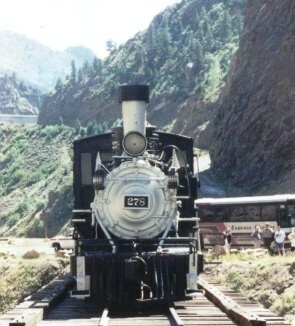 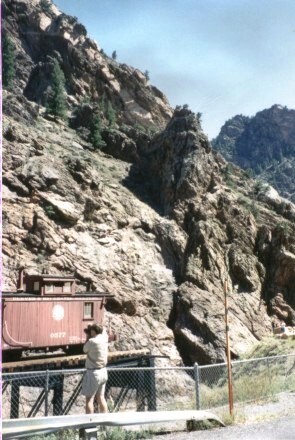 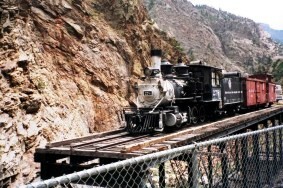 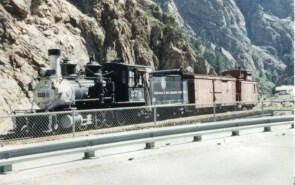 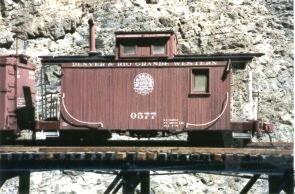 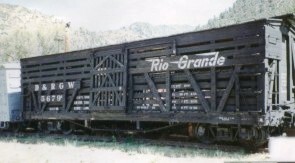 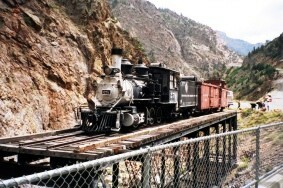 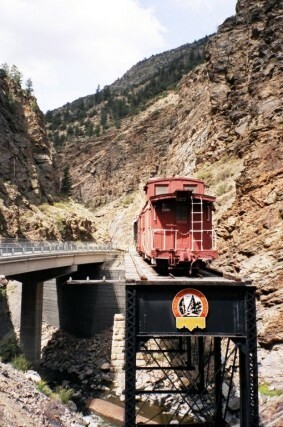 A half mile up the canyon, the Service has mounted D&RGW #278, 2 freight cars, and caboose #0577 on the bridge. 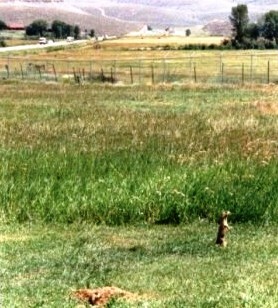 It is isolated from the land so vandals can’t do any damage. 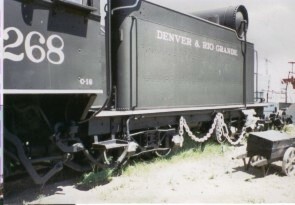 These have been maintained very well and look as they did in 1940. 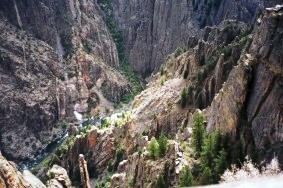 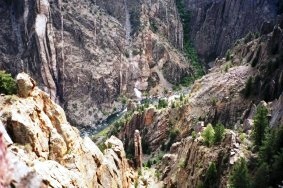 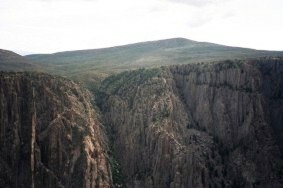 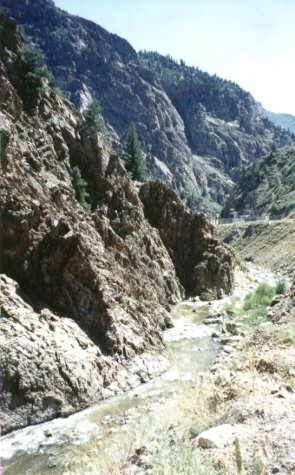 After Cimarron, take the sideroad to the Black Canyon of the Gunnison National Park visitor center. 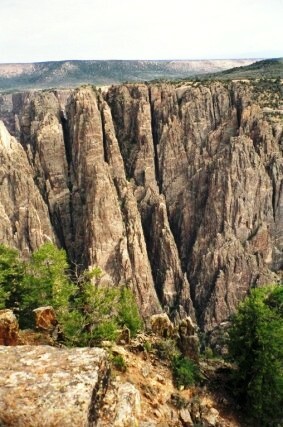 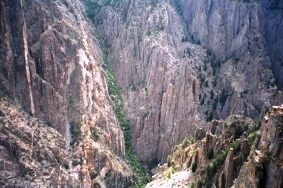 A short walk to the view point will illustrate why it is called Black Canyon. 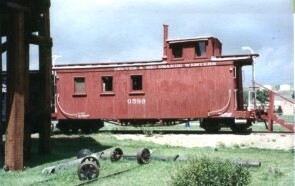 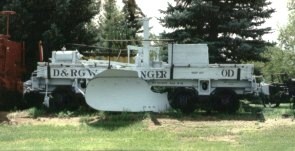 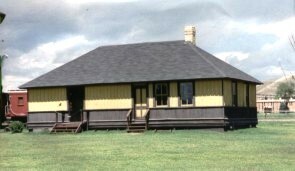 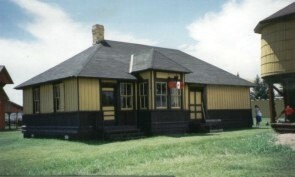 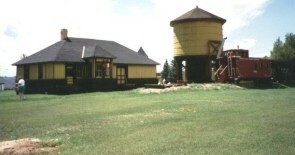 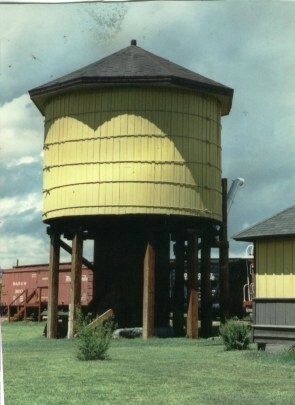 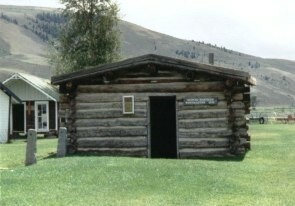 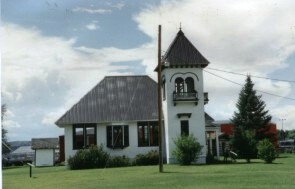 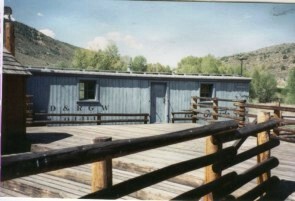 At Gunnison, visit the Gunnison Pioneer Museum on the highway. 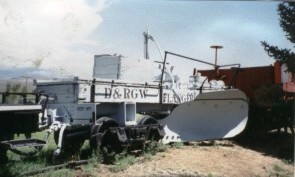 Here D&RGW #268 in Bumblebee livery sits under a replica snow shed to protect it a bit from the weather. 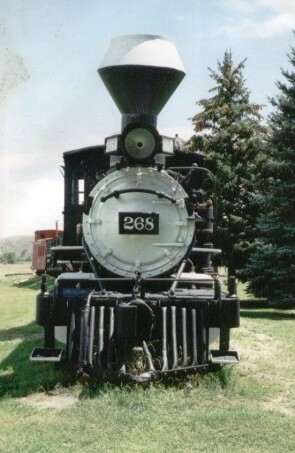 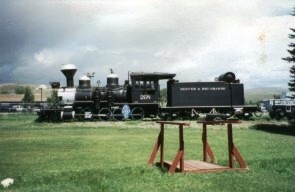 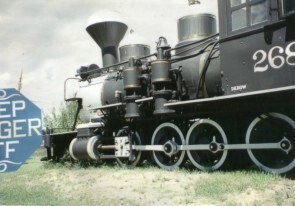 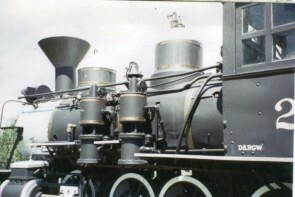 My 1994 photos show the engine in black and silver before the fake smokestack was removed. 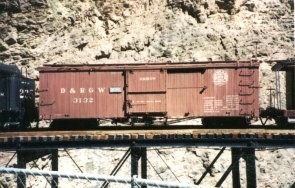 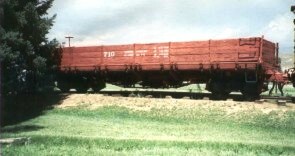 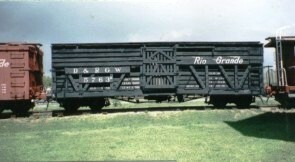 Various freight and MOW cars, including flanges OF and OD, with long caboose #0589 are tagged to #268. 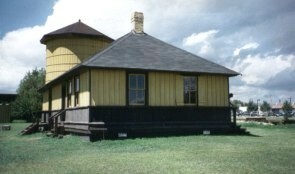 The historic buildings are beautifully maintained and very photogenic. 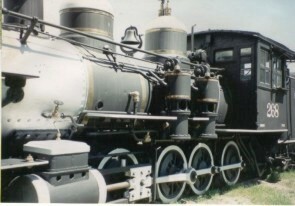 The large machine shop holds a great collection of well restored autos and trucks, that weren’t present on my first trip in 1994. 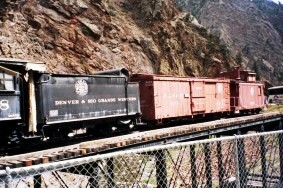 These 3 stops will kill most of the day and still leave time to reach the next destination. 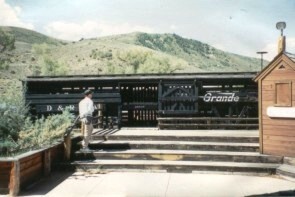 Photos are from 1994 unless otherwise noted.